The reservations for the dormitories have been closed. There are no more rooms available. » Deadline for payment is May 31, 2007. See the local information page for travel details. Students dormitory accommodation � First come first serve basis � is recommended to students or groups from the same departments. 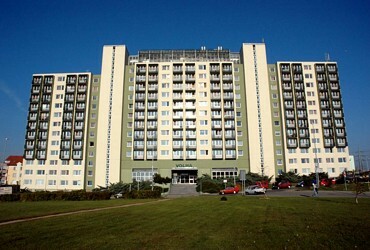 Students� dormitory VOLHA is situated in Jižní Město (10 minutes by bus to/from the conference venue, TOP HOTEL Praha). If you request room sharing (double, triple rooms) to further reduce the costs, please cross-reference your roommates on the registration form - we will NOT do any assignments of roommates. 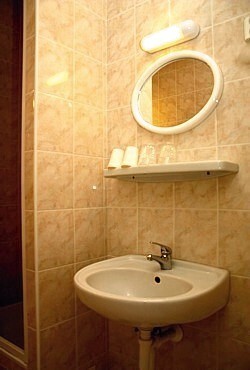 The accommodation is arranged in a newly reconstructed hotel-type dormitory in so called "cells", i.e. in two independent rooms with a shared bathroom. Disclaimers. All rights reserved. Access counter: 1427217.